The action is part of a larger, ongoing review of antibacterial active ingredients by the FDA to ensure they are proven to be safe and effective. 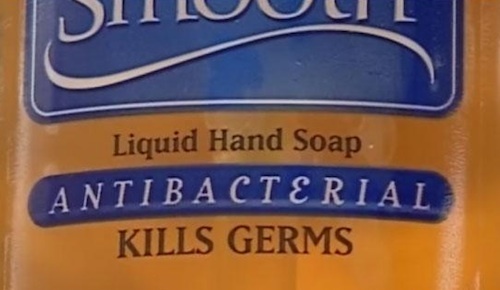 Antibacterial soaps and body washes are used widely and frequently by consumers in everyday home, work, school, and public settings, where the risk of infection is relatively low. Due to consumers’ extensive exposure to the ingredients in antibacterial soaps, we believe there should be a clearly demonstrated benefit from using antibacterial soap to balance any potential risk. Although consumers generally view antibacterial hand soap and body wash to be effective, there is currently no evidence that they are any more effective at preventing illness than washing with plain soap and water. Moreover, recent studies suggest that long-term exposure to certain active ingredients used in antibacterial products — namely triclosan (liquid soaps) and triclocarban (bar soaps) — could pose health risks such as bacterial resistance or hormonal effects. About 2,000 individual products currently contain these agents, health officials said. When the proposed rule is finalized, companies will have to provide data to support an antibacterial claim, or if not, they will have to reformulate (i.e. remove antibacterial ingredients) or relabel (remove the antibacterial claim from the product’s labeling) these products in order to continue marketing. The proposed rule is available for public comment for 180 days, with a concurrent one year period for companies to submit new data and information, followed by a 60-day rebuttal comment period. Triclosan and triclocarban are chlorinated hydrocarbons that can kill many bacteria and some fungi by interfering with a protein needed to build cell walls. In contrast, conventional soap removes bacterial from the skin but doesn’t necessarily kill them. The proposed rule only applies to consumer antibacterial soaps and body washes that are used with water. It does not apply to hand sanitizers, hand wipes or antibacterial soaps that are used in healthcare settings such as hospitals.